With my office smelling like wet soil and a motley crew of plants and planters straggling across my desk, I’m in a good place to celebrate Earth Day. 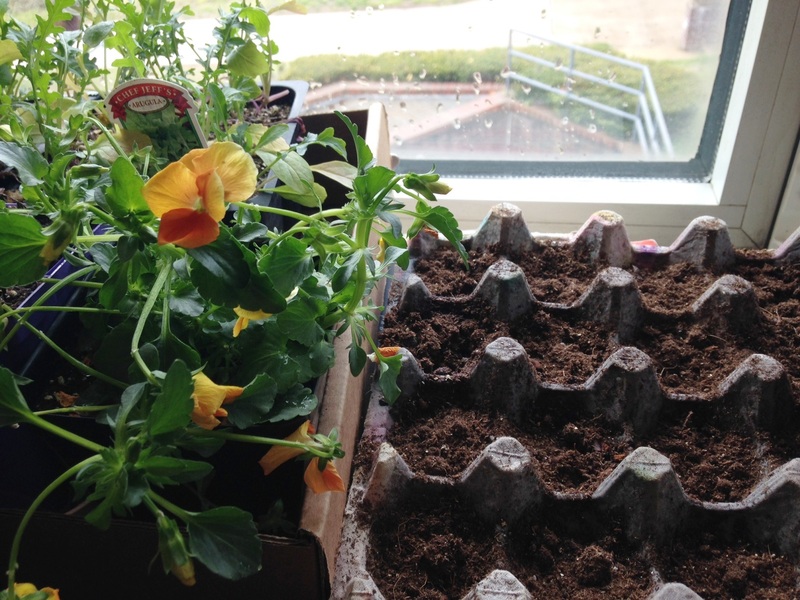 It doesn’t hurt that the plants came from a campus clean-up project that one of my classes planned last week, and the egg carton planters came into being thanks to another class activity yesterday. I’ll spend another few minutes with these signs of spring, then head to a board meeting for the Crossroads Community Food Network. We’ll be talking about that organization’s fragrant, colorful farmers market, which opens in just six weeks. I hope you’re celebrating where you want to be this Earth Day, or that you’re on the way.